In modern times, hurry, bustle, and agitation have become a regular way of life for many people — so much so that we have embraced a word to describe our efforts to respond to the many pressing demands on our time: multitasking. Used for decades to describe the parallel processing abilities of computers, multitasking is now shorthand for the human attempt to do simultaneously as many things as possible, as quickly as possible, preferably marshalling the power of as many technologies as possible. In the late 1990s and early 2000s, one sensed a kind of exuberance about the possibilities of multitasking. Advertisements for new electronic gadgets — particularly the first generation of handheld digital devices — celebrated the notion of using technology to accomplish several things at once. The word multitasking began appearing in the “skills” sections of résumés, as office workers restyled themselves as high-tech, high-performing team players. “We have always multitasked — inability to walk and chew gum is a time-honored cause for derision — but never so intensely or self-consciously as now,” James Gleick wrote in his 1999 book Faster. “We are multitasking connoisseurs — experts in crowding, pressing, packing, and overlapping distinct activities in our all-too-finite moments.” An article in the New York Times Magazine in 2001 asked, “Who can remember life before multitasking? These days we all do it.” The article offered advice on “How to Multitask” with suggestions about giving your brain’s “multitasking hot spot” an appropriate workout. Dr. Edward Hallowell, a Massachusetts-based psychiatrist who specializes in the treatment of attention deficit/hyperactivity disorder and has written a book with the self-explanatory title CrazyBusy, has been offering therapies to combat extreme multitasking for years; in his book he calls multitasking a “mythical activity in which people believe they can perform two or more tasks simultaneously.” In a 2005 article, he described a new condition, “Attention Deficit Trait,” which he claims is rampant in the business world. ADT is “purely a response to the hyperkinetic environment in which we live,” writes Hallowell, and its hallmark symptoms mimic those of ADD. “Never in history has the human brain been asked to track so many data points,” Hallowell argues, and this challenge “can be controlled only by creatively engineering one’s environment and one’s emotional and physical health.” Limiting multitasking is essential. Best-selling business advice author Timothy Ferriss also extols the virtues of “single-tasking” in his book, The 4-Hour Workweek. Multitasking might also be taking a toll on the economy. One study by researchers at the University of California at Irvine monitored interruptions among office workers; they found that workers took an average of twenty-five minutes to recover from interruptions such as phone calls or answering e-mail and return to their original task. 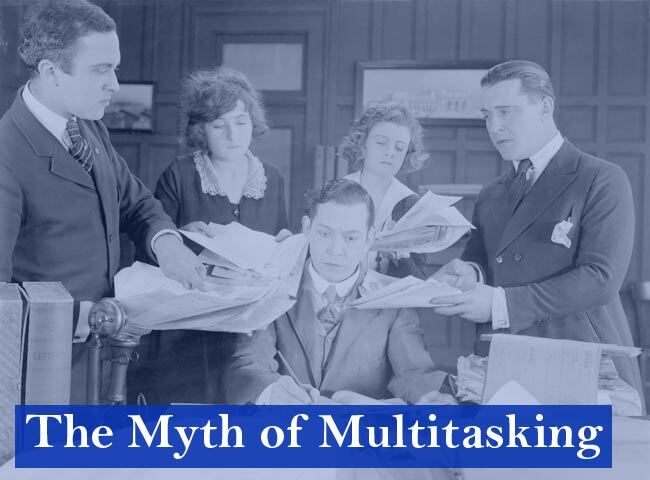 Discussing multitasking with the New York Times in 2007, Jonathan B. Spira, an analyst at the business research firm Basex, estimated that extreme multitasking — information overload — costs the U.S. economy $650 billion a year in lost productivity. It is also what makes multitasking a poor long-term strategy for learning. Other studies, such as those performed by psychologist René Marois of Vanderbilt University, have used fMRI to demonstrate the brain’s response to handling multiple tasks. 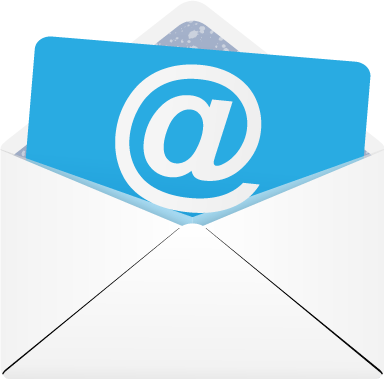 Marois found evidence of a “response selection bottleneck” that occurs when the brain is forced to respond to several stimuli at once. As a result, task-switching leads to time lost as the brain determines which task to perform. Psychologist David Meyer at the University of Michigan believes that rather than a bottleneck in the brain, a process of “adaptive executive control” takes place, which “schedules task processes appropriately to obey instructions about their relative priorities and serial order,” as he described to the New Scientist. Unlike many other researchers who study multitasking, Meyer is optimistic that, with training, the brain can learn to task-switch more effectively, and there is some evidence that certain simple tasks are amenable to such practice. But his research has also found that multitasking contributes to the release of stress hormones and adrenaline, which can cause long-term health problems if not controlled, and contributes to the loss of short-term memory. The Kaiser report noted several factors that increase the likelihood of media multitasking, including “having a computer and being able to see a television from it.” Also, “sensation-seeking” personality types are more likely to multitask, as are those living in “a highly TV-oriented household.” The picture that emerges of these pubescent multitasking mavens is of a generation of great technical facility and intelligence but of extreme impatience, unsatisfied with slowness and uncomfortable with silence: “I get bored if it’s not all going at once, because everything has gaps — waiting for a website to come up, commercials on TV, etc.” one participant said. The report concludes on a very peculiar note, perhaps intended to be optimistic: “In this media-heavy world, it is likely that brains that are more adept at media multitasking will be passed along and these changes will be naturally selected,” the report states. “After all, information is power, and if one can process more information all at once, perhaps one can be more powerful.” This is techno-social Darwinism, nature red in pixel and claw. Today, our collective will to pay attention seems fairly weak. We require advice books to teach us how to avoid distraction. In the not-too-distant future we may even employ new devices to help us overcome the unintended attention deficits created by today’s gadgets. As one New York Times article recently suggested, “Further research could help create clever technology, like sensors or smart software that workers could instruct with their preferences and priorities to serve as a high tech ‘time nanny’ to ease the modern multitasker’s plight.” Perhaps we will all accept as a matter of course a computer governor — like the devices placed on engines so that people can’t drive cars beyond a certain speed. Our technological governors might prompt us with reminders to set mental limits when we try to do too much, too quickly, all at once. Then again, perhaps we will simply adjust and come to accept what James called “acquired inattention.” E-mails pouring in, cell phones ringing, televisions blaring, podcasts streaming — all this may become background noise, like the “din of a foundry or factory” that James observed workers could scarcely avoid at first, but which eventually became just another part of their daily routine. For the younger generation of multitaskers, the great electronic din is an expected part of everyday life. And given what neuroscience and anecdotal evidence have shown us, this state of constant intentional self-distraction could well be of profound detriment to individual and cultural well-being. When people do their work only in the “interstices of their mind-wandering,” with crumbs of attention rationed out among many competing tasks, their culture may gain in information, but it will surely weaken in wisdom. Christine Rosen, "The Myth of Multitasking," The New Atlantis, Number 20, Spring 2008, pp. 105-110.